Climate Justice: Be Just. Be Green. It’s great to be back in the District and into the environmental arena that I love, in my new role as Jurisdictional Guide for the Western Jurisdiction. 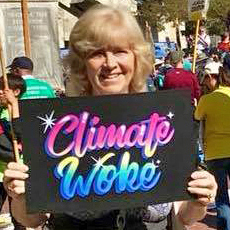 I will be available to help connect the National issues on Climate Action with the Western Jurisdiction, Conference, District and local UMW. To make it even easier for you to learn to be an advocate for our planet, we have developed a new web page, Climate Justice: Be Just. Be Green. Here you can find more information about how to protect our environment, tools like the “13 Steps to Sustainability,” and how to become an Advocate. This entry was posted in News and Events, Social Action on February 9, 2019 by Wanda.